2019 Energy-efficiency Installation & Upgrade REBATES Available. Call 508-428-0974 for details, or schedule a no-pressure no-obligation consultation with Lincoln today. ENTER TO WIN! We're giving away a year's heating/cooling maintenance service. *Up to $20,000 to qualified homeowners. 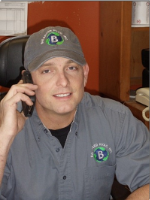 Owner Lincoln Stubbs is PASSIONATE about delivering the highest levels of comfort with the maximum energy savings and the least chance of future breakdowns. After all, of what use is a low price if what follows is a decade of wasted energy and your family's discomfort? The current state of energy-efficiency in Cape Cod homes is HORRENDOUS. Much of our housing stock, converted from summer to year-round use, is poorly insulated. Their heating/cooling systems were poorly designed. Until just 2011, Massachusetts had no licensing requirement at all for HVAC (Heating, Ventilation and Air Conditioning) contractors. Anyone with a pick-up truck could install a furnace or central air conditioner -- and many did with no knowledge whatsoever of proper sizing, insulation or ductwork design. Before the housing bubble burst, we had a boom in local construction. The builder-grade heating/cooling systems installed left a lot to be desired. In order to meet builder's low-bid and quick installation requirements, contractors were forced to cut corners. "Before you invest in a new HVAC system, make sure that you have addressed the big air leaks in your house and in the duct systems. Sometimes these are the real source of problems rather than your HVAC equipment." "Nearly half of all heating and cooling equipment in the U.S. never performs to its advertised capacity due to incorrect installation." necessary to deliver optimum comfort and energy-efficiency. Even those schooled in traditional heating & air conditioning service and installation lack the knowledge & the tools necessary to assure energy-efficiency and the delivery of comfort to every room in the home. Few have taken the time & expense to learn the advanced sciences of building performance and air balancing. From what we've seen here in Cape Cod, the DOE's 50% estimate of under-performing systems is far too conservative. We'd estimate the number systems performing at anywhere near the manufacturer's stickered efficiency to be more in the 10% range. And even if you are one of the lucky ones to have your current system installed properly, aging and house settlment may very likely have opened gaps in your ductwork that may well be robbing you of comfort, draining precious energy and exposing your family to dust and contaminates from attics, crawlspaces and basements. Experience expensive breakdowns and equipment that fails before its time. ONLY a contractor who has committed the time and expense to obtain the certifications and training in building performance and air balancing sciences can install systems that will perform to the efficiency promised on a manufacturer's sticker. ONLY a contractor so equipped and certified can diagnose and solve the problems of a poorly designed or aging system optimizing its efficiency, its longevity and its comfort performance. ONLY work by a contractor with Quality Installation Verification (QIV) from the Commonwealth of Massachusetts can qualify your air conditioner or heat pump installation for the 0% 7-year loan. Owner Involvement in Every Installation, Repair and Maintenance Service. Oversee the job from START to FINISH. Lincoln will personally follow up on every repair or maintenance service to be sure that your questions have been answered and the job has been completed to your satisfaction. follows up on every job. CLICK to learn about 2019 rebates for energy-efficient upgrades and installations. "I can't say enough about your company. Your quick, and I mean quick response was great! Since Matt's visit, there's been a big difference in our system's performance all the way around. You have a customer for life. Thanks guys." Cape Cod's Choice for Total Comfort and Efficient Air Conditioning, Heating and Heat Pump Installation, Maintenance and Repair. (c) 2013-19, Strategic Edge LLC. All rights reserved.